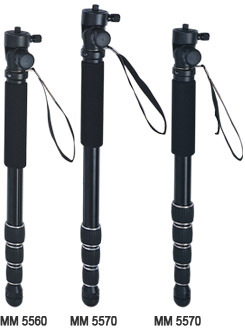 With integral quick release pan head allows the camera to be instantly attached and detached. 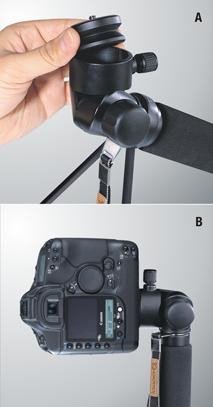 Releasing the tilt lock allows 180O of movement, and the full 90O position allows rapid and controlled change from portrait to landscape mode. The 2-way tilt head allows movement of 180O, the full 90O position is ideal for changing from landscape to portrait mode. Simply unscrew the rubber foot to access the storage compartment for the accessory legs. 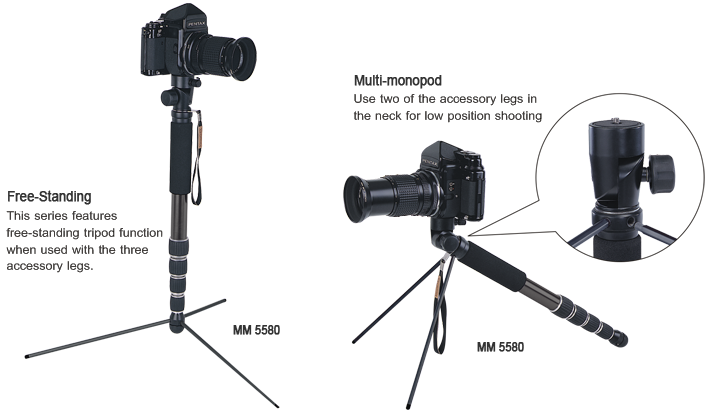 Remove the three accessory legs and screw them into the recesses in the base converts the monopod into a free-standing monopod. * Product specifications are subject to change without notice..